At the grand coronation night of Miss Earth Chile 2018 held on 16th September 2018 at Diego Rivera Theater in Puerto Montt, Antonia Cristal Figueroa was crowned the new queen. She will now represent Chile in the upcoming Miss Earth 2018. She succeeds and was crowned by Miss Earth Chile 2017 Sofia Manzur. 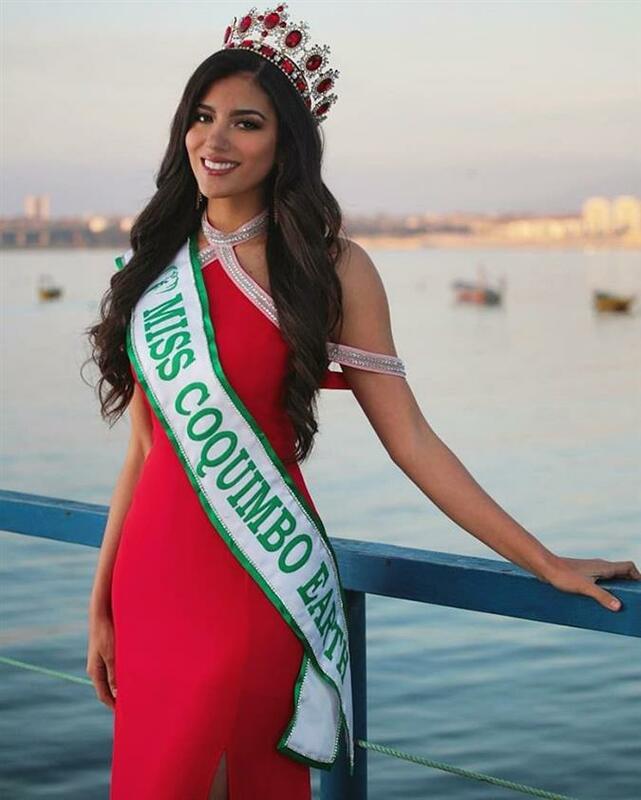 Antonia Cristal represented Coquimbo (Miss Earth Coquimbo 2018) at the national finals and with her commendable performance; she ousted twelve other contestants to win the national crown. Not new to the pageant world, Antonia was also crowned Miss World Chile 2016 and represented Chile in Miss World 2016. The contestants who were competing for Miss Earth Chile 2018 are Miss Earth Calama 2018 Kaithen Ahumada, Miss Earth Antofagasta 2018 Catalina Figueroa Fadic, Miss Earth Coquimbo 2018 Antonia Cristal Figueroa, Miss Earth Quillota 2018 Camila Hinojosa, Miss Earth La Calera 2018 Francisca Contreras, Miss Earth Valparaiso 2018 Kelsey Kohler, Miss Earth San Antonio 2018 Ximena Piñeiro Muñoz, Miss Earth Penalolen 2018 Camila Guerra, Miss Earth Huechuraba 2018 Camila Helfmann, Miss Earth Concepcion 2018 Natalia Thienel, Miss Earth Temuco 2018 Catalina Huenulao Olmos, Miss Earth Valdivia 2018 Carolina Urra, Miss Earth Puerto Varas 2018 Paula Arauz La Paz, Miss Earth Cochamo 2018 Belén Vargas Chamorro, Miss Earth Puerto Montt 2018 Valentina Vera, Miss Earth Chiloe 2018 Marlene Navarro. Chile has one Miss Earth title under its belt. Hil Hernández was crowned Miss Earth 2006 and after that, the country is yet to bring home another Earth crown.